This chapter seeks to understand the complex, damaging contexts that provoke increasing numbers of the lesbian, gay, bisexual, trans and queer population in northern Central America to flee their homes. Through personal accounts of queer mobility in the region, displacement is analysed not as a one-off or exceptional event, but as a constantly shifting process (moving out of place) and condition (being out of place). Queer mobility is seen here in terms of the quest for placement, rather than as movement per se. Continuous negotiations to stay put, to make a place for oneself, were based in disadvantage which often resulted in complex displacements. Displacement in these terms is an intrinsic part of marginal queer experience. While the ruptures associated with these displacements can cause damage, so they can disrupt established oppressions and allow room to re-accommodate one’s personal social location. Yet, since this re-accommodation is the result of complex constellations of marginalised existence, it is fragile, and hard-won gains can be short-lived. In particular, the intersection between gender and sexual transgression, economic and social marginalization, and rampant organized and targeted hate violence all translate into pervasive precarity. 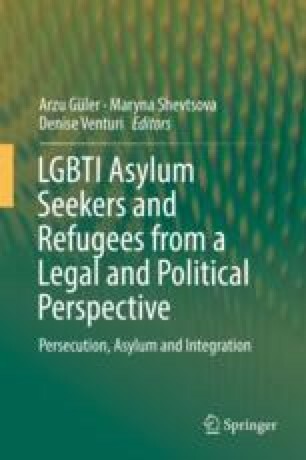 The gravity and complexity of the experiences shared here highlight the need to ensure that the growing body of work on queer migration and asylum does not overshadow other spatial and temporal scales of displacement which are a crucial dynamic of the relationship between queer mobility and survival.